One of our favourite parts of Christmas: seeing the joy in our friends and family’s faces when they open gifts they truly love. That makes every year a mission to scout out the most thoughtful, memorable presents possible. Luckily, our Character Ducks make that easy. Put back the same old socks, chocolates and forgettable stocking fillers, and give a gift that matters by choosing one of these. Everyone has that friend or family member who is absolutely sports mad. Whether they’re a player themselves or simply an avid fan, you can’t prize any other topic out of conversation with them. 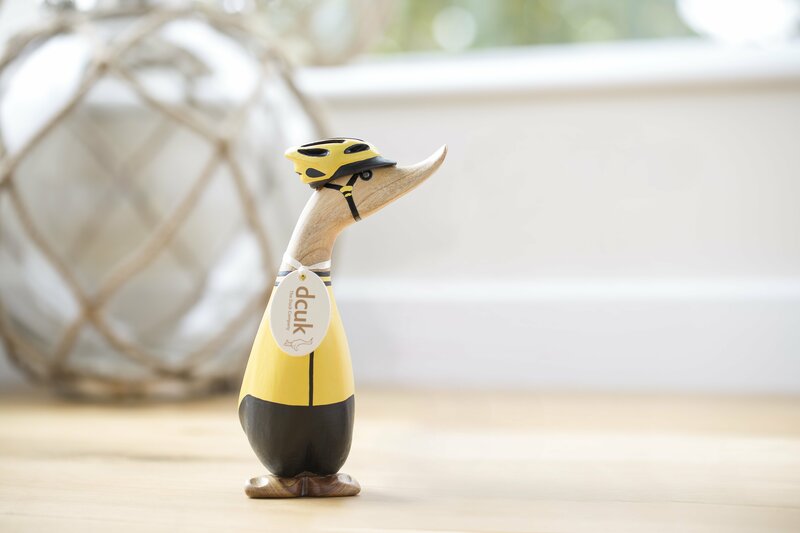 Our Sporty Ducks are ready and waiting for them. From colourful cyclists with their very own helmets to football fanatics ready to be inscribed with a name and number, there’s something for that special sporty someone in this collection. Do you know a person who lives to work? Someone whose job is not only their income but their passion and main source of fulfilment? We’re sure you have a person in mind while you’re reading this. Wait until you see their perfect present. Our Professional Ducks are career crazy too. Sporting adorable little uniforms and standing proud in their caps, hats or judge’s wigs, they’re up to any job. Browse our selection of teachers, soldiers, train drivers and policemen to find the perfect gift for the workaholic in your life. 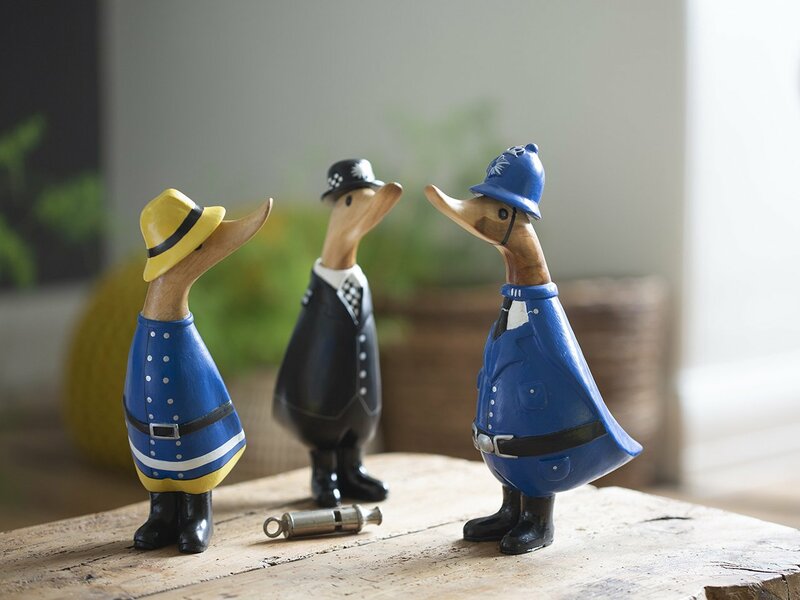 This selection of ducks make the ideal gift for that one person in your life who incessantly sings ‘I Do Like to be Beside the Seaside’. 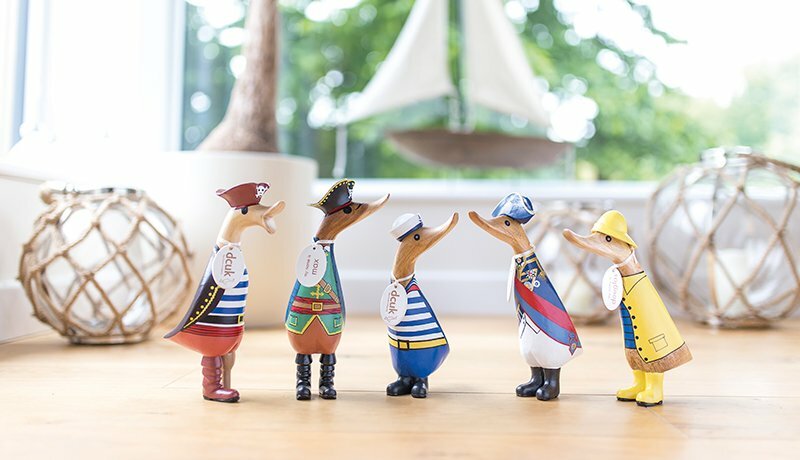 Whether to complement their own seaside cottage or to gaze at longingly in the long months before they holiday off to the nearest beach town, our Seafaring ducks will delight them this Christmas Day. 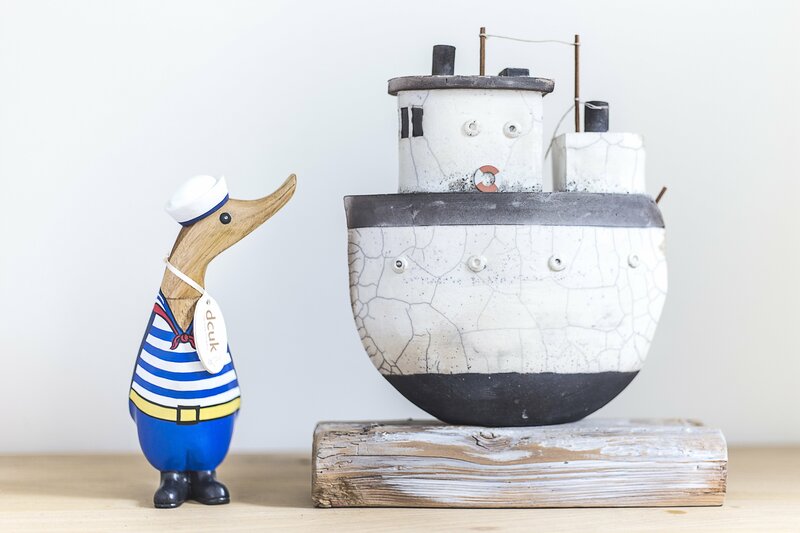 Meet our Seafaring friends, choose between colourful fishermen, jaunty sailors and peg-legged pirates, and give a seaside gift like no other. 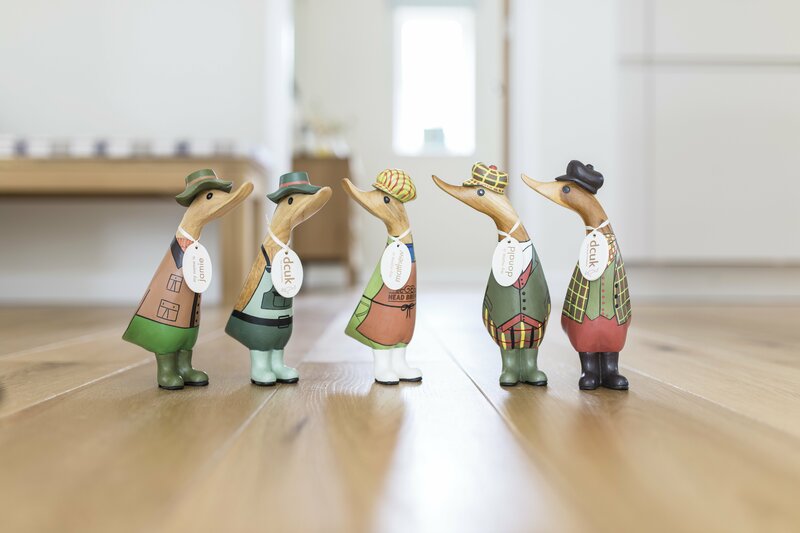 We know that you find all sorts of characters up in the countryside – and now you can recognise them in our Country Ducks! This collection sports all of the old tweedy gentlemen, dressage champions, gardeners and brewers you could expect to encounter when wandering down an old country lane. So for that friend or family member who lives for their countryside lifestyle, or dreams of escaping one day into farmland or forestry, you can gift them something perfectly fitting with just the right amount of quirkiness this Christmas morning. It’s an understatement to say how much we all appreciate servicemen and women in the armed forces for all that they do for us – but sometimes perhaps we don’t show this as clearly as we should. 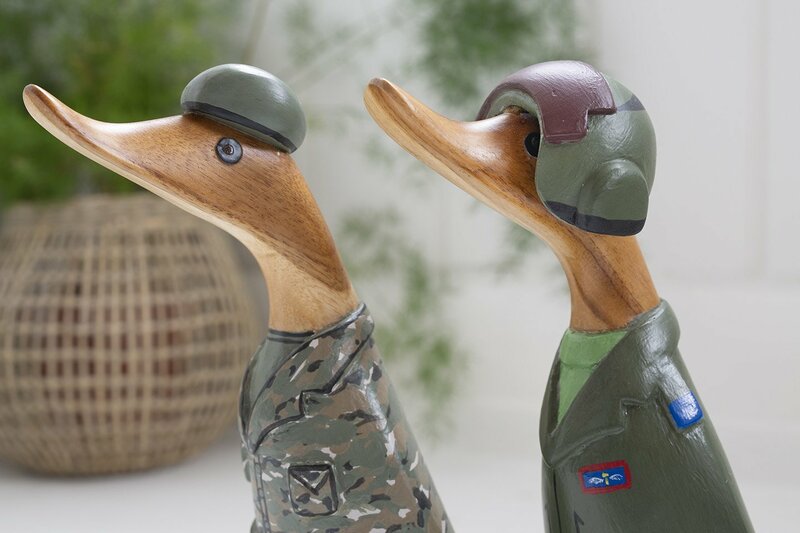 This year, gift a member of the services in your life with an ornamental and handcrafted tribute to their profession in the form of an adorable feathered friend – our Armed Forces ducks. 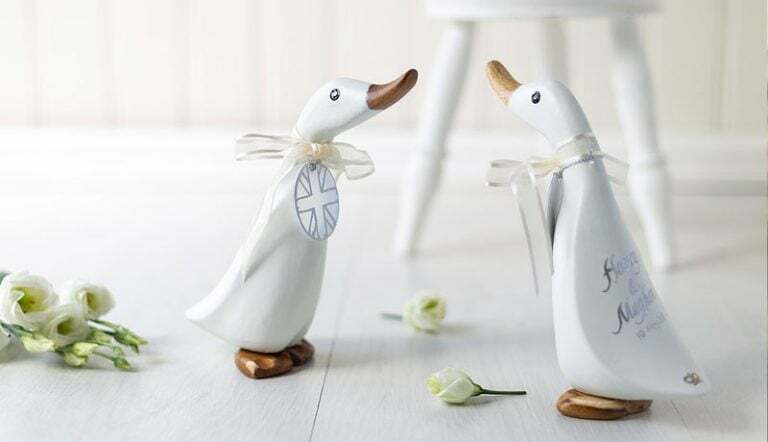 These little guys are vibrant and bespoke and are sure to make your loved ones smile. So there you have it: your Christmas presents will never have to be boring again! Let us know if you’ll be gifting any of these beauties to anyone in your life this year, and how they enjoy opening their new ducks on Christmas Day. We’re ready to chat on Twitter or Facebook, where we’ll also be sharing all our news and updates during the festive season.